New Haven had a combined 13 assist as Seth Schenck led the way with five. More importantly New Haven forced 20 turnovers while only committing eight. A key factor we mentioned in our preseason outlook was New Haven had to rebound and get to the foul line. 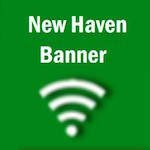 New Haven gave up just two offensive boards and went 9-14 from the free throw line. New Haven, seeded 5th will take on the fourth seeded Montgomery County Bulldogs at 6 p.m. on Tuesday's first round of the Montgomery County Tournament. The Bulldogs had a good start to their season by defeating Hermann 64-47. It will be interesting to see how New Haven comes out against the Bulldogs. Since Adam Meyer took over the program Montgomery likes to play a faster paced game. It may be a first round game but expect a close hard fought one that very well could go down to the wire. The Lady Shamrocks destroyed Wright City 54-6 on Monday in their season opener. The Lady Rocks seeded 5th, will play in the first round of the Montgomery County Tournament on Monday against (4) Mexico at 6 p.m.
You can follow us on Twitter all week long for regular game updates. Click here to download brackets or schedules for both high school and middle school teams.